Shadowhunters is coming to an end. Freeform has cancelled the series after three seasons. 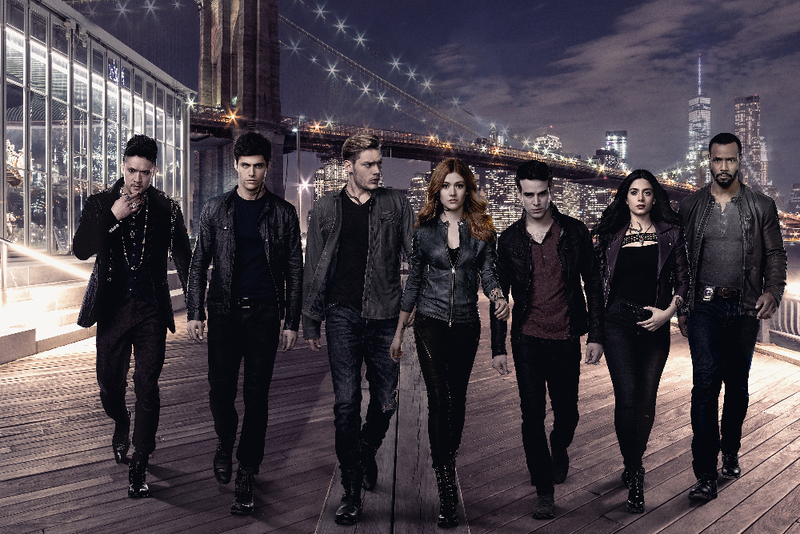 Shadowhunters, which just wrapped Season 3A, will air its final 10 episodes of season 3 in Spring 2019. The series will conclude with a two-part series finale event. Shadowhunters struggled massively in ratings suffering declines throughout season 3. A big reason for the decline in ratings from the first season to now was that the television show veered far away from the books and alienated the book fans, which make up a huge part of the fans that Freeform was targeting with this show. Shadowhunters returns Spring 2019 for its final 10 episodes. I am disappointed that the series will come to an end. However, I agree with readers and the TV audience that the TV series was too different than the books. For instance, the death of Jocelyn who in the books, lives and eventually marries Luke; the switch of Luke from a book seller to a policeman; the whole Owl storyline. It has been said many times: the book is better than the movie or TV show. Rarely does a movie stick to the book plot. Consider “Romeo and Juliet with a happy ending. True, if a book were followed faithfully without cuts, the show would be immensely long. I would not want my stories to be made into films unless I had strict control over the script. No producer would ever give someone like me with no experience in adaptation to film such control. Cancelling the show is not entirely surprising, however, I am still disappointed that the show is ending, because each season has gotten better, more closely aligning the story with that of the books That being said I think the show would have been more successful if it had of followed the books closely, but that might not have been enough. I loved the movie which was very similar to the first book, with a great cast and well directed and still the ratings were poor (probably because the reviewers didn’t read the book) and it did not do well in the theatres. I look forward to seeing the remaining ten episodes of this season, although I can’t imagine why they are making us wait a whole year to see them. It’s the second part of this season after all not a new season so why make us wait? What is this two part seeries finale mentioned above… will there be 10 + 2 additional episodes to complete the series properly coming our way in 2019? I feel sad thinking we won’t be able to watch these books come to life before our eyes even if they were not told exactly “right”. It´s also sad that we most likely will never see TID or TDA on screen. The Dark Artifices were never sold, the rights still belong to Cassandra Clare. I felt that every season moved farther away from the books. The cast was enjoyable even if the show was lacking. From what I read in other site’s is that Freeform was going to announce season 4 but Netfix backed out of their contract with Freeform. Which now Freeform can’t afford to keep it going which caused the cancellation. I have Netflix and Shadowhunters isn’t on it. I know Hulu has it since I bought it for the sole purpose of this show. Netflix distributed the show internationally, that’s what Melissa is talking about. I live in the UK and Netflix is the only way we can watch Shadowhunters. Apparently without Netflix’s funding they can’t continue to make the show. I just hope they still show the final episodes here. I didn’t particularly like how far they deviated from the books, but I still enjoyed it. My condolences to the cast and crew. This is what happens when the script writer, director, and producer treat the plot of a book series as merely a “suggestion.” I look forward to Lady Midnight and a coherent plot that will resolve the issues raised in the first two books of the trilogy. Oops! Queen of Air and Darkness.